JMP is well positioned to serve Clients throughout the United States, as well as Internationally, with offices on the US West Coast in Belmont, California, and on the East Coast, in Chapel Hill, North Carolina. Their list of projects includes outstanding, world-class designs in the US, as well as award-winning private, public, and resort golf courses on four continents around the world. The firm is led by three Partners, Brian Costello, Mark Hollinger, and Bob Moore; all of who are members of the prestigious American Society of Golf Course Architects. The Partners, with over 75 years of collective experience in golf course architecture, are committed to a shared vision of creating memorable golf courses. This vision focuses on a commitment to environmental sustainability and golf designs which are responsive to site conditions and existing landforms, while meeting the requirements of the Client’s market and budget. 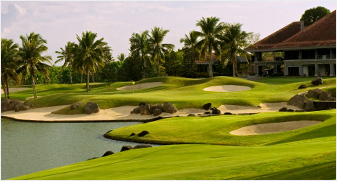 JMP is committed to creating golf courses of extraordinary beauty, founded on traditional values. JMP Services are carefully tailored to each Client and project. In addition to the standard services of design, construction documentation, and on-site construction design review, JMP also provides project feasibility and site assessment, land planning, construction administration and project management. For all international projects, JMP offers the services of construction supervision and golf shaping specialists. JMP has long been recognized as one of the world’s top golf course design firms with years of project experience that literally spans the globe. The Royal and Ancient Game of Golf has evolved, over the centuries, to become a truly international game. With it’s beginnings on the undulating links land of Scotland, under the ravages of the wind and rain of the North Sea, the original golf courses were as natural as the expanses of sand and gorse that surrounded them. Nature created these courses and Man simply discovered them. 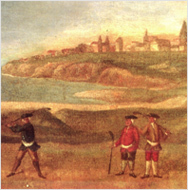 As golf grew in popularity, the Game was exported from its’ seaside origins. 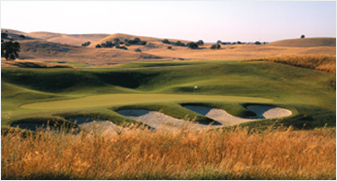 Man became the designer of these new courses, often modifying terrain to accommodate the elements of the game. The creation of golf courses grew in complexity as golf was introduced to varied climates and more challenging landforms. The incorporation of golf into master-planned communities, and the advent of environmental regulation further challenged golf designers. Today’s golf course architect must possess an ever increasing breadth of skills and expertise in the diverse fields of science, engineering, agronomy, hydrology, land planning, landscape architecture, and land entitlement/permitting processes. Brian Costello, Mark Hollinger and Bob Moore believe that great golf design is Art on a Grand Scale. Golf can be made to satisfy the requirements imposed by development and regulators, however truly great golf design requires the hand of an Artist. Just as an Artist uses color, light, and composition in a creative effort, JMP Golf Design Group balance the basic elements and strategies of the game, the unique opportunities and physical constraints of a particular site, the vision of the Client, the needs and abilities of a broad spectrum of golfers, respect for the natural environment, and the integration of the surrounding land uses. The Principals of JMP are commited to the Art of creating truly memorable golf courses and to the success of every project undertaken.